Scott was featured on MSNBC's live coverage of the 2010-2012 White House Correspondents Dinner, and appeared regularly as a liberal commentator on the live webcast FoxNews.com Live. 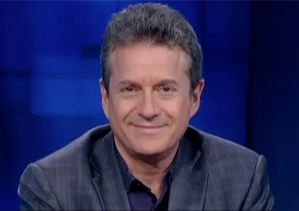 Scott also was a frequent guest on Viewpoint with John Fugelsang on Current TV. He has made more than forty national television appearances, including Comedy Central's "Tough Crowd with Colin Quinn," and was the warmup comedian for "Late Show with David Letterman" on CBS. Blakeman is a frequent contributor to the Huffington Post. Dean Obeidallah's comedy comes in large part from his unique background of being the son of a Palestinian father and a Sicilian mother. Dean, an award winning comedian who was at one time a practicing attorney, has appeared on Comedy Central's "Axis of Evil" Comedy special and is the co-creator and co-producer of Comedy Central.com's critically acclaimed Internet series "The Watch List" featuring a cast of all Middle Eastern-American comedians performing stand up and sketch comedy. Dean has also appeared twice on ABC's "The View," and was recently one of five comedians profiled in a PBS one hour TV Special entitled: "Stand Up: Muslim-American Comics Come of Age." Dean is the co-producer and co-director of the documentary film "The Muslims Are Coming". Dean appears weekly on CNN's Upfront with Erin Burnett. He has also been featured on numerous international and national television and radio programs including CNN's "American Morning" and "The Situation Room," PBS' "Newshour with Jim Lehrer," "Comics Unleashed with Byron Allen," BBC, HD's "Dan Rather Reports," NPR, Fox News Radio, ABC's "20/20" Al Jazeera's "Min Washington," "Democracy Now with Amy Goodman" and CNN International's "Inside the Middle East." In addition, he has appeared in various publications including Time magazine, Newsweek, The New York Times, The Washington Post and The Los Angeles Times.